Synopsis: Globalization, international migration, secessionist movements, and the politics of multiculturalism pose urgent challenges to modern citizenship. 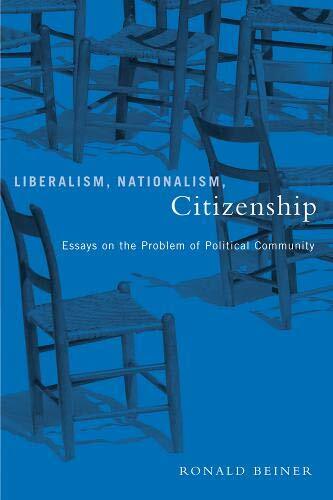 In Liberalism, Nationalism, Citizenship, Ronald Beiner engages critically with a wide range of important political thinkers and current debates in light of the Aristotelian idea that shared citizenship is an essential human calling. Beiner's work is essential reading not just for students of politics and political philosophy but for all those who rightly sense that recent challenges demand an ambitious rethinking of the nature of political community.